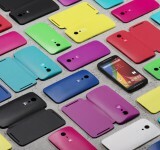 Second Generation Moto G announced. 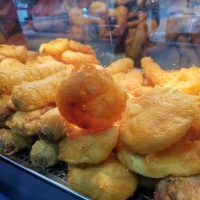 Still great, still cheap, and you can buy it now. 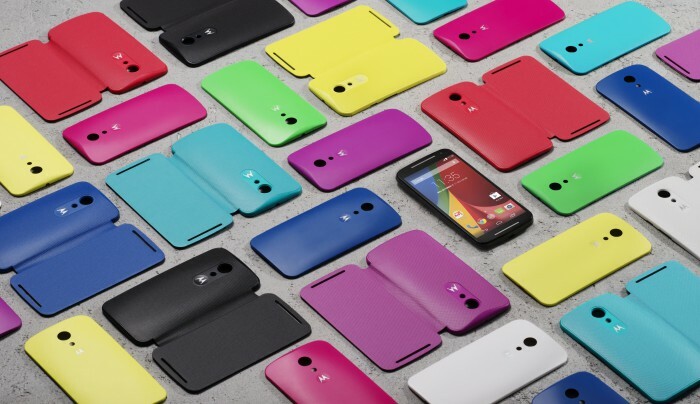 Ask someone to name a Motorola phone and they’ll probably say the Moto G. Whether it was the dirt-cheap original model or the 4G one, they both proved popular and you can probably still find them kicking around on shelves for even less money if you look hard enough. 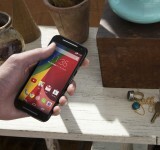 They were so well received that Moto have now announced a newer version – the Moto G 2nd Version. Best of all, it’s only $179.99 and it’s available immediately. What’s that? $179.99 ? That’s a mere £110.35 at todays’ exchange rates. Start the stampede!! 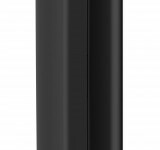 The new model has a 5″ 720p screen and is available in black and white. Amazon will be stocking it from September 5th too, and there’ll be a range of funky shells from October. 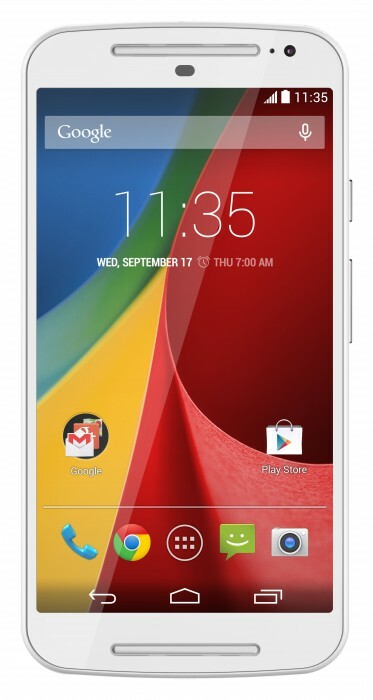 It runs Android 4.4.4 KitKat, and there’s 8GB and 16GB versions. It has a microSD card slot, an 8 megapixel auto-focus rear camera, 2 megapixel rear shooter and it’s powered by a 1.2GHz quad-core CPU with an Adreno 305 GPU. The Moto G 5″ has 1GB RAM, WiFi, Bluetooth 5.0 and a 2070 mAh battery. You get 50GB of Google Drive storage free for 2 years and there’s even an FM Radio too. See it in action below..
Want more information? Head to the press release or the product details. 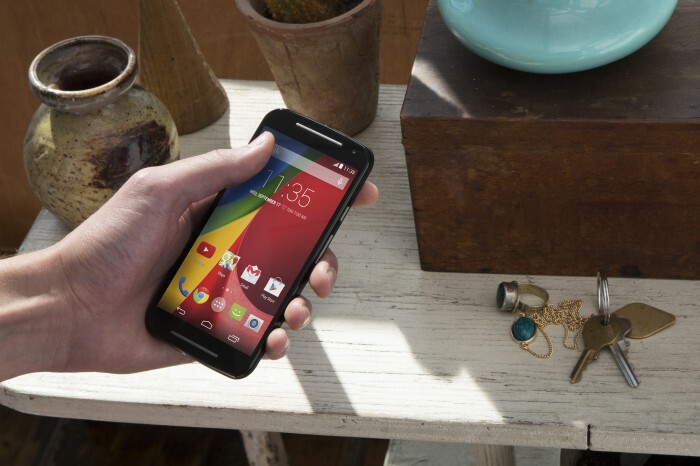 Marlow, UK – September 5, 2014 – Expansys is proud to announce that the Moto G 2nd Gen., the latest and most ergonomic Pure Android phone, has finally arrived. 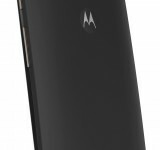 Starting today, Expansys will be shipping the Moto G 2nd Gen. SIM-Free and Unlocked to customers, and is proud to be one of the first in the UK market to sell it. The Moto G 2nd Gen. has an upgraded 8MP 3264 x 2448px Camera with Geo-tagging, touch focus, face detection, panorama picture capability, LED flash, and HDR; accented with a good quality 2MP front camera capable of shooting 720p HD videos at 30FPS. The Moto G 2nd Gen. has also been given a powerful Quad-Core 1.2GHz Qualcomm MSM8226 Snapdragon 400 Cortex-A7 Chipset accented with an Adreno 305 GPU. 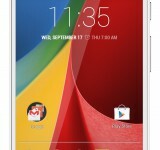 The phone also isn’t lacking on its bells and whistles either, the Moto G 2nd Gen. comes equipped with an Accelerometer, gyroscope, proximity detector, compass, a dedicated mic with active noise canceling capabilities, document viewer, photo editor, voice dial, voice memo, as well as a predictive text input, 50GB of Google Drive storage free for 2 years, and FM Radio; just to name a few.